This is the second in a three part series of frequently asked questions about Reverse Mortgage. You can find Part 1 here and Part 3 here. If you have questions that are not currently listed, please don’t hesitate to contact me directly. Can I get a Reverse Mortgage even if I have an existing mortgage? You may qualify for a reverse mortgage even if you still owe money on an existing mortgage. The existing loan will be paid off first with the reverse mortgage funds, then the remainder of the funds will be given to you. This scenario would apply as long as the amount of the reverse mortgage is larger than the existing loan. For example: if you owe $100,000 on an existing mortgage and you qualify for $125,000 under the reverse mortgage program, under these circumstances you would still have $25,000 left over to do with as you wish AND you would no longer have a mortgage payment. Another scenario would be one where the mortgage on your house is more than what you qualified for under the reverse mortgage program. In this situation you would have the option to make up the difference with your own funds between the amount of reverse mortgage you qualified for and the existing loan. This would allow you to no longer have the burden of a monthly mortgage payment. Working with a reputable reverse mortgage lender will ensure the most accurate information regarding how an existing mortgage would affect a reverse mortgage and what will be right for you. What is Reverse Mortgage Counseling? Prior to being approved for a reverse mortgage, HUD’s Federal Housing Administration (FHA) requires each borrower to participate in a counseling session with an approved agency. These not-for-profit agencies are funded by the federal government and work closely with both the FHA and lenders to ensure a smooth process. The goal of this session is not to steer a potential borrower in one direction or another, but to make sure they clearly understand all aspects of a reverse mortgage. Read more about what to expect during reverse mortgage counseling here. Why not get a home equity loan instead of a reverse mortgage? 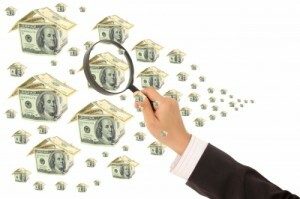 Reverse mortgages do not need to be repaid as long as you remain in your home. This allows for a lot of flexibility if you are on a tight or limited budget, or would like to use your funds from a reverse mortgage for specific purposes. On the other hand, attaining a home equity loan (or a second mortgage) requires you have sufficient income to cover the debt—plus, you must continue to make monthly payments on both any existing mortgage and the new home equity loan. With a reverse mortgage, you do not make monthly mortgage payments and the federally insured loan protects you from foreclosure. Do I have to pay taxes on the cash payments I receive? The cash you receive from a reverse mortgage is not considered income, therefore not subject to individual income taxation. But, since you hold the title to your home, you are still responsible for property taxes, insurance, utilities, fuel, maintenance, and other home-related expenses. Interest on reverse mortgages is not deductible on income tax returns until the loan is paid off in part or whole. Find a whole lot more information about what reverse mortgage holders are still responsible for after obtaining the loan here. Who is a Reverse Mortgage not right for? Reverse mortgages are not right for everyone, which makes it even more important that you work with a reputable lender. A reverse mortgage may not be in your best interest if you intend to leave your home within 2-3 years, if you own multiple homes or investment property, or if you intend to leave your spouse off the loan. Even if you fall into any of these categories, discuss your situation with a lender before eliminating reverse mortgage as an option.